Pinacate Biosphere Reserve, Mexico - Desert Invasion - U.S. 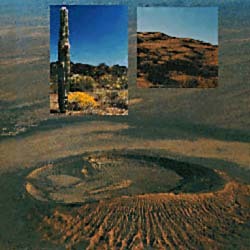 The Pinacate Biosphere Reserve is located just off Highway 8, 32 miles south of Lukeville, Arizona. The Reserve includes Mexico's largest desert and dunes, on par with those in Africa and the Middle East. This land of stark and diverse beauty is unique as one of the few Archaeological and Geological areas in the entire southwest that remains mostly untouched by humans. The Reserve encompasses over 600 square miles, and contains 400 cinder cones caused by "exploding volcanoes", along with tunnels, and ash and rock that can be observed scattered for miles in the area. Nine massive volcanic craters remain from the time when the area was volcanically active and contact with water caused violent steam explosions that sent millions of pounds of rock and debris into the sky. The Reserve is home to over 560 plant species, 56 mammal species, 43 reptile species, 222 bird species, and 4 fish species.